Where does Your State Stand? To fully appreciate this blog, we must first get real about the state of financial literacy in our country. Research suggests that children begin developing attitudes and behaviors about money as young as six or seven, the same age most enter their first formal educational setting. Surprisingly though, only 17 states require high school students to complete a course in personal finance. According to the University of Wisconsin-Madison, 89% of teachers believe more should be done, but only 20% feel “very confident” to deliver any of the six curriculum topics surveyed. 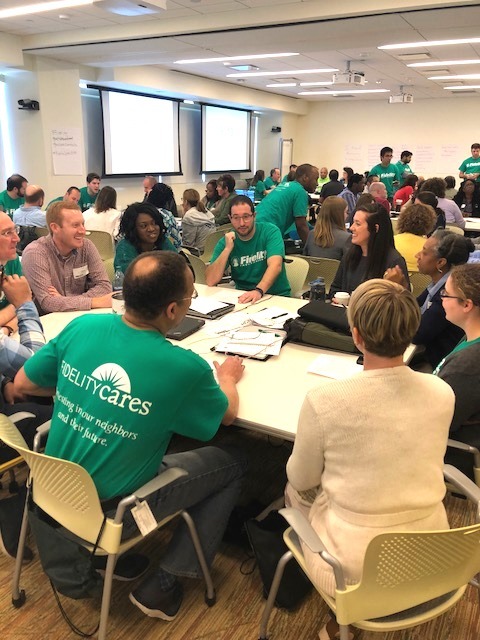 In 2015, The North Carolina Council on Economic Education (Winner of the 2018 CEE Council of the Year Award) and Fidelity Investments® set out to change the narrative. The original vision: Develop a stand-alone financial literacy professional development workshop designed to fully equip teachers with the resources needed to help students appreciate the importance of personal finance. As the program quickly grew in popularity, so did a desire from educators to further improve their own understanding too. Insert Jump$tatrt and their acclaimed “Financial Foundations for Educators” curriculum. This combination of knowledge AND tools was the secret sauce for a lasting solution that continues to inspire financial futures today. “Teacher Trainings” are now hosted in all 11 Fidelity Investments locations across the United States. Since inception, the program has reached more than 1,400 teachers and, in turn, 150,000+ students. – Krista Scarlett, Teacher, Goffstown High School, NH. With more and more young people acquiring student loan debt, the need for personal finance is more dire than ever. 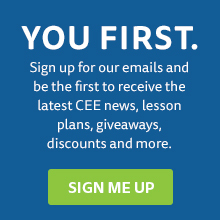 CEE will continue to play our part and – together with you – help combat those earlier, opportunistic statistics…one deserving student and teacher at a time. Learn more about our mission and visit our free K-12 teacher website, EconEdLink where you can find personal finance and economic lesson plans, digital activities, videos, webinars, and more. Annamaria Lusardi is the Denit Trust professor of economics and accountancy at the George Washington School of Business. Insight and analysis from economists working at the intersection of research and Fed policymaking. Treasury's official blog, featuring blog posts from Treasury's senior officials and staff sharing news, announcements and information about the work done at the Treasury Department. Financial insights from your wallet to Wall Street with journalist and author Dan Kadlec. How much economic knowledge do you have? How we support economic education.